VIDEO: The Second Debt Storm: Who will Bail out the Countries that bailed out the Banks? SAN FRANCISCO — The financial crisis never really went away. The debt mountain that brought down some of the world’s biggest banks and dragged the international financial system to the brink of disaster has simply shifted to governments. Now, it’s threatening countries around the globe and if left unchecked could rip the very fabric of Europe’s economic system and wreck economic recoveries in the U.S., China and Latin America. The impact on markets has been severe. The euro has slumped more than 12% against the dollar since the sovereign debt crisis flared in southern Europe. Gold has marched to new highs as investors seek a safe haven and, perhaps most alarming, it is now more expensive to buy insurance against national default than it is to insure against corporate failure. “The sovereign debt crisis spun out of control in the past week, and we see no easy way to resolve it,” said Madeline Schnapp, director of macroeconomic research at TrimTabs Investment Research. Some investors and analysts are increasingly concerned that governments may be no more capable of repaying their debts than the banks and insurance companies they saved. And, they warn, if a major country comes close to default, it could trigger a financial meltdown that would eclipse the panic that followed the bankruptcy of Lehman Brothers in 2008. 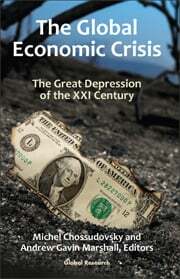 The world has seen sovereign debt crises before. Latin America, Africa and Asia have all experienced upheavals sparked by excessive debt. These crises were all accompanied by stunted economic growth, inflation and weak stock market returns, which make it even harder to pay off debts. As investors and government officials ponder the current state of affairs, they see ominous signs that the developed world may be facing a similarly bleak future. “All we’re doing is shifting chairs on the deck of the Titanic,” he added. Some governments have started to respond to market pressure, with the U.K. pledging billions of pounds in spending cuts this week. Spain and Portugal also unveiled austerity measures. But the problem is so big that investors remain wary. Stock markets plunged and credit markets shuddered last week on concern Greece and other indebted European countries like Portugal and Spain might default. “What’s happened on a corporate level is now happening on a national level. The first nation to experience this is Greece, but other nations will, too,” Schnapp said. To stop Greece’s debt troubles turning into a run on the euro and a global stock market rout, the European Union unveiled an unprecedented package of almost $1 trillion in emergency loans, stabilization funds and International Monetary Fund support on Sunday. In the days that followed, the European Central Bank bought the government debt of Greece and other countries on the periphery of the region’s single-currency zone, such as Portugal, Spain, Italy and Ireland, investors said. Such intervention, known as quantitative easing, has been shunned by the ECB until now. TrimTabs cut its recommendation on U.S. equities to neutral from fully bullish on Sunday, in the wake of the European bailout. The sovereign crisis has been brewing for months. For much of the financial crisis, investors worried about financial institutions defaulting, rather than sovereign nations. But that pattern has been upended. In early February, the cost of insuring against a sovereign default in Western Europe exceeded the price of similar protection against default by North American investment-grade companies. That was the first time this had happened, according to data compiled by Markit from the credit derivatives market. The move “symbolizes how credit risk has been transformed from corporate to sovereign risk, as the solution to the financial and economic crisis was government intervention,” Hans Mikkelsen, credit strategist at Bank of America Merrill Lynch, wrote in a note to investors at the time. 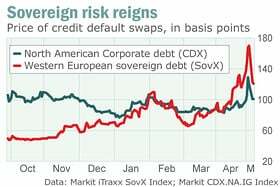 Since then, the cost of insuring against sovereign default in Western Europe has climbed further, hitting a record of 169 basis points on May 7. 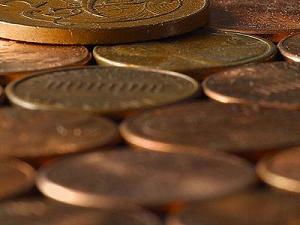 The European bailout pushed that down to 120 basis points on Tuesday. But that’s still more expensive than default protection on North American corporate debt which cost 100 basis points on Tuesday. (In the credit derivatives market, 100 basis points means it costs $100,000 a year to buy default protection on $10 million of debt for five years). While much of the concern has focused on Western Europe, unsustainable government debt is a global problem. And it is developed world governments that are accumulating the biggest debts, not emerging market countries — a big change from previous sovereign crises. “Looking beyond the immediate crisis in Europe, I am particularly worried about the next stage involving the U.S., the U.K. and Japan,” Xerion’s Arbess said. Debt to GDP ratios in the world’s advanced economies will top 100% in 2014, 35 percentage points higher than where they stood before the financial crisis, the IMF estimated last month. Three percentage points of this increase came from government bailouts of financial institutions, while 3.5 percentage points was from fiscal stimulus. Another four percentage points has been driven by higher interest on government debt and 9 points came from revenue lost from the global recession, according to the IMF. “Public finances in the majority of advanced industrial countries are in a worse state today than at any time since the industrial revolution, except for wartime episodes and their immediate aftermath,” Willem Buiter, chief economist at Citigroup /quotes/comstock/13*!c/quotes/nls/c (C 4.03, -0.06, -1.47%) and former member of the Bank of England’s Monetary Policy Committee, wrote in a recent note on sovereign risk. Even though the current epicenter of the crisis is focused on the euro zone, the overall fiscal position of the single currency area is stronger than that of the U.S., the U.K. and Japan, he noted. “Unless there is a radical change of course by those in charge of fiscal policy in the U.S., Japan and the U.K., these countries’ sovereigns too will, sooner (in the case of the U.K.) or later (in the case of Japan and the U.S.) be at risk of being tested by the markets,” Buiter said. Ultimately, these countries face the risk of being “denied access to new and roll-over funding, that is, of being faced with a ‘sudden stop,'” he warned. Once government debt levels approach 100% of GDP, things can get tricky. That’s because a lot of a country’s income from taxes and other sources has to be spent on interest payments. John Brynjolfsson, chief investment officer at global macro hedge fund firm Armored Wolf LLC, illustrated the point with a simple example. With debt at 100% of GDP, interest rates at 3% and real economic growth of 3%, all the extra income collected by a country would be used to pay interest on its debt. If a lot of government debt is owned by foreigners, like the U.S., the money leaves the country rather than being invested in more productive ways. This dents economic growth. A study published this year by economists Carmen Reinhart and Ken Rogoff found that, over the past two centuries, government debt in excess of 90% of GDP produced economic growth of 1.7% a year on average. That was less than half the growth rate of countries with debt below 30% of GDP.